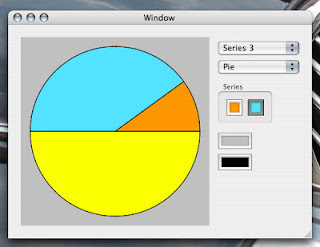 OresmeKit, GAP's charting framework for GNUstep and Cocoa, got its first rudimental Pie Chart implementation. 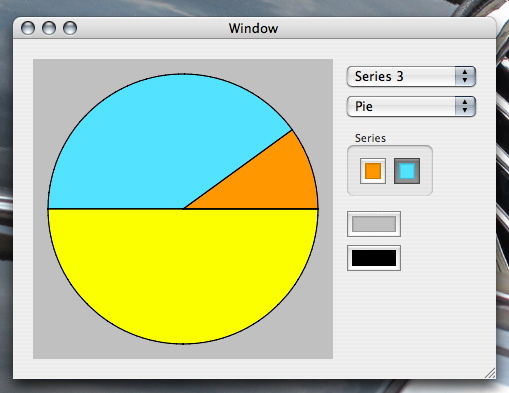 Data colors, background and edges are customizable already, as a real OKChart implementation. The dataset is represented as the set of each first element of the series, so that for each the color can be specified, being the series color.